Subscribe to our Heredis Newsletter. Heredis 2019 is the complete solution for your genealogy: Heredis will do it ALL. Heredis is to date the best genealogy software. Not only because it is loaded with innovative and unique features, but also because the addition of all these features makes the Heredis software unbeatable. I want to download the free Heredis 2019 Demo for MAC! Get the WINDOWS version? Please note that if you open the trial version with an old Heredis file, your previous file will be duplicated and will remain at the initial place on your computer. I have read the information below concerning the demo version of Heredis 2019 for Mac. After form has been submitted, click the download link. When the InstallHeredisWorld2019.dmg download is complete, the installer will open automatically, or if not, double-click the downloaded file. 1. Drag Heredis 2019 to the Applications folder. 2. Open the Applications folder on your Mac, start Heredis and click ‘Try’ to explore all the features of the software. Remember to drag the icon to your Dock for easy access to Heredis 2019. This demo version of Heredis 2019 for Mac is free and works without time limit! Create up to 50 persons. The demo version allows you to create as many free family tree files you want provided they do not exceed 50 persons per file. You may import GEDCOM or Heredis files of all sizes to see how your family file is treated and discover the different modes of data presentation. When the open file contains more than 50 persons, printing and modifying data are not available. However you can publish your family tree to Heredis Online regardless of its size. You may then continue once you have acquired the full version of Heredis 2019 for Mac. Heredis has set itself the goal of providing the best possible software for your genealogy. We welcome any suggestions that could help to improve it and we attach great importance to your comments, for they allow us to adapt the software to your constantly changing needs. If you want to send us your feedback on the proposed options, please contact us by using the forum available directly here. » Heredis in the Press. The Press covers our software and our business throughout the year. Find all the articles about us in this section. » Heredis and genealogy associations. You are responsible for a genealogical society: Heredis offers a partnership to benefit from a variety of interesting advantages for your association and your members. Discover HEREDIS for Windows and Mac for your research and your family trees. If you want to join our teams, feel free to send us an application. 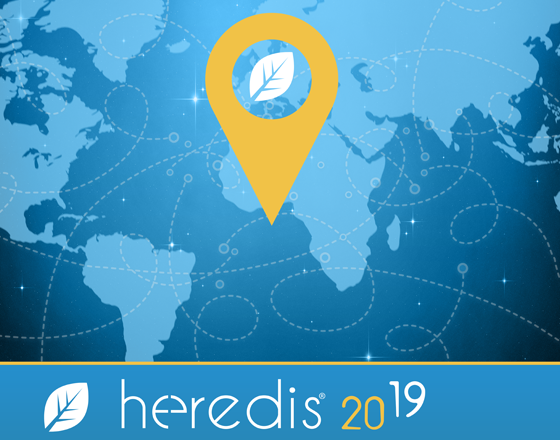 Discover Heredis, editor of genealogy software for over 23 years, its history and the Heredis team, based in Montpellier, France. » Subscribe to our Heredis Newsletter. Get a preview of all new features of Heredis software, Genealogy News by those who make it. » Find what you are searching for on Heredis. Browse through the pages and find every genealogic information needed for your researches. In 400 millions shared family trees posted online by Heredis Online users.